Townhouse on 3 floors renovated by Charpente Urbaine with high end finish. 3 bedrooms with possibility of 4. 2 full bathrooms. Custom kitchen. Original architectural details preserved and highlighted. 9 feet ceiling. Fenced backyard for private use. Two-minute walk from Papineau metro station. - 3 bedrooms (possibility of a 4th bedroom in the room where there is washer and dryer). - Private balcony accessible from the master bedroom. - Double, or wall-to-wall. wardrobes. - 2 full bathrooms, one with separate bath and shower. - Laundry room with space for office, or family room, or storage. - Original architectural details highlighted with exposed brick walls and solid wood doors. - 300 sqft fenced yard for private use. - 2 balcony for private use. - 2-minute walk from Papineau - Grocery store, subway station, pharmacy, banks and other amenities within a 5-minute walk. - Less than 10-minute walk from several TV and radio production stations such as Radio-Canada, TVA, Zone 3, Énergie 94.3, Rouge FM, Virgin Radio, CHOM 97.7, CTV, RDS, and others. - Walk to Au-Pied-du-Courant Village. - The notary will be Me Geneviève Barbe of the Gail Cimon Study. 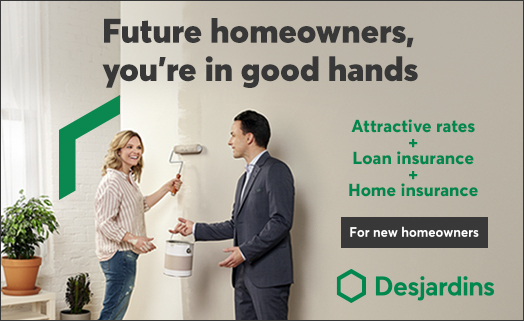 - Financing will be at the Caisse Desjardins through mortgage broker Ciro Rios. - 20% cash down required. - Condo fees include the payable share for the municipal and school taxes. Fixtures, wall-mounted heat pump, water heater. My name is SEBASTIEN MORIN, RE/MAX real estate broker. How may I help you? Hello, my name is SEBASTIEN MORIN, real estate broker. Contact me for more information.